At R.L. 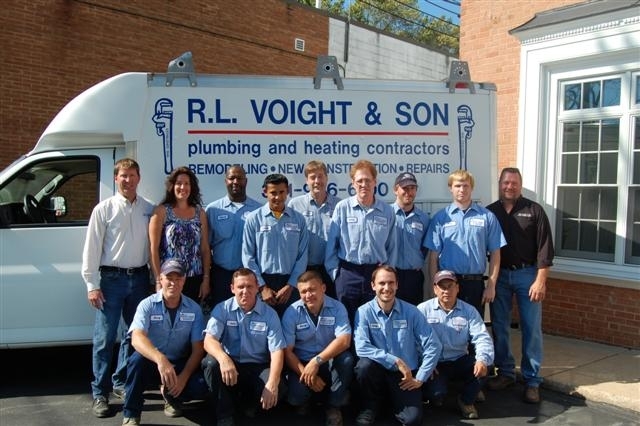 Voight & Son, LLC, we pride ourselves on providing our customers with reasonable pricing, quality workmanship and professional service on every call. When you work with R.L. Voight & Son, LLC, you know you are getting high quality products and exceptional service facilitated by cutting edge technology. Our certified technicians use state-of-the-art technology to diagnose and repair existing problems and in all installations. These services will ultimately benefit the ones you love by keeping you and your family comfortable and safe all year round. R.L. Voight and Son was started in 1946 by Ray Voight. He moved the business to its current location so that he could be close to the train tracks. The company has always been family-owned and operated. It is currently owned by John and David, Ray’s grandson and grandson-in-law, with the fourth generation working and learning the industry.